As Dharmesh Shah, founder of Hubspot has put it, it’s the “marketing for people that don’t like marketing.” Meaning instead of forcing things people don’t need or want onto them, you instead provide value to people with the hopes they’ll want to partner with you. If you’re interested in getting your company or business involved in this “new-ish” approach to marketing, one of the best resources is Hubspot. 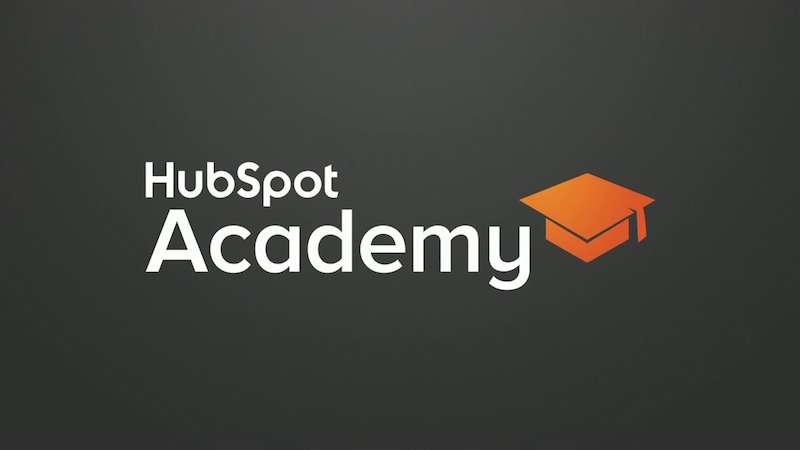 Not only are there tons and tons of free resources you can access to teach yourself inbound marketing (via Hubspot’s Academy), you can even become inbound marketing certified. Even if you're not using HubSpot’s software, getting your inbound marketing certification will force you to better understand inbound and give credibility to your espoused marketing methodology when you “talk inbound” with your company. Here are some additional perks to becoming certified. Yes, you read that right. All of those resources and the certification are FREE. All the information you could want about landing pages, SEO, blogging, email marketing, lead nurturing and lead conversion are all offered to you without a price tag! 2. It’s not a huge time investment. One of the most common pushbacks to getting a certification like this—even if it’s free—is that it will take too much time. This isn’t true of Hubspot’s Inbound Marketing Certification, however. In fact, there are only 12 classes and 4.5 hours of total video time, meaning you could get certified in a day or less! 3. The content is interactive. Meaning: it’s not boring! The teaching videos are very informative, short, and to the point. They also include in-video quizzes, so you can test your knowledge immediately after digesting the information. What’s more, the videos now feature what they call “industry pioneers,” or well-known people in the industry. These cameos feature Rand Fishkin of Moz, Gary Vaynerchuck of Vayner Media, and Mike Volpe, CMO of Hubspot. 4. You’ll always stay up-to-date. Your inbound marketing certification will last for a year. Yes, this means that if you want to stay certified, you’ll have to take the test again in a year. However, given the rapidly changing nature of the industry, this is a good thing. What’s better, Hubspot updates all of their courses and content regularly, including inbound best practices and examples used during the classes. Once you’re certified, those who aren’t Hubspot customers will be able to test their newfound abilities with “Inbound Certification Projects.” These projects will test your fundamentals on the big picture of inbound, allowing you to use your new skill set with a Hubspot trial. Those who already are customers can work through any projects available with their subscription. Getting your inbound marketing certification is truly a win-win situation. Not only do you get to acquire an entire, coveted skill set for free, you’ll be able to apply your knowledge immediately after you’ve passed the test. Whether it’s to build up your resume or bring your company into the 21st century, Hubspot’s Inbound Certification can help you reach your professional goals.